This is the directorial debut of Max Minghella (The Handmaid’s Tale) and the film stars Elle Fanning, Rebecca Hall, Agnieszka Grochowska, and Zlatko Buric. The film features songs by Robyn, Katy Perry, Ariana Grande, Annie Lennox, Grimes, Major Lazer, Ellie Goulding, and Tegan & Sara. 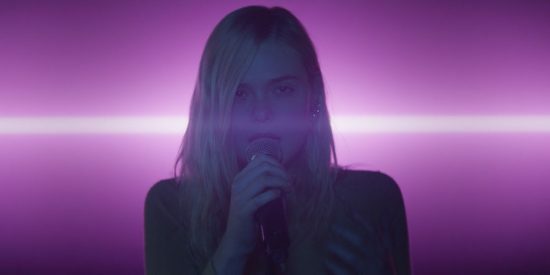 Teen Spirit opens in the US on 5th April 2019.